When trying to quit smoking, tobacco cravings and urges can try to overpower your motivation to give up cigarettes. These cravings usually come in short bursts and if you can withstand them for long enough, you will see that they usually disappear relatively quickly. 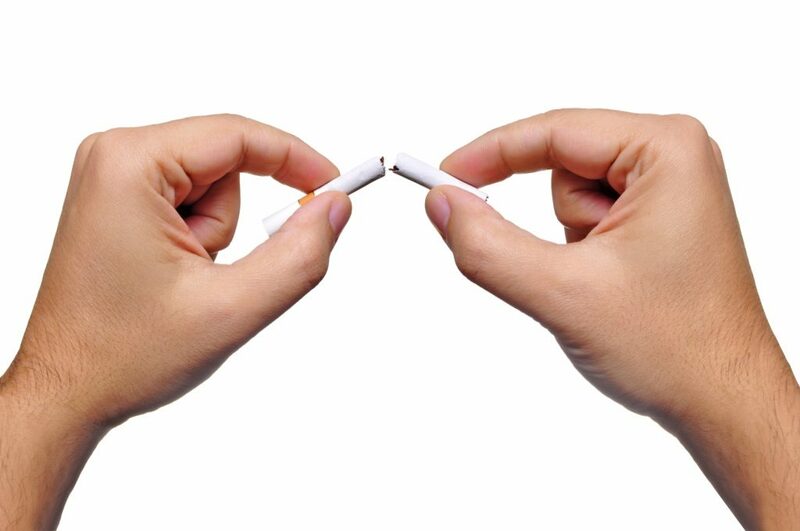 To help you successfully stop smoking for good, here are a few things to try out when these urges appear, to take your mind off the need to smoke and instead, look towards a healthier future without cigarettes. Whether it’s the smoking shelter at work, an emergency pack of cigarettes at home, or even social events where smoking has become the norm, consider any locations or situations that could lure you into smoking a cigarette and avoid it as much as possible. Try a different route into work that avoids passing by the smoking shelter and throw away any and every pack of cigarettes you have. You could also suggest doing something new with friends, that takes your mind off smoking and onto something different instead. Whenever the urge rears its ugly head, tell yourself to wait 5, 10, 15, 20 minutes before acting. Give yourself a task to do in that timeframe, such as finishing something at work, a spot of cleaning or even calling a friend you’ve been meaning to for some time. Whatever it is, the chances are that both the time lapsed and the task carried out will help you mind and body forget about the craving you had. Join the gym or head to a local leisure centre whenever the urge to smoke strikes. Just half an hour of jogging, swimming or cycling can diminish the cravings and focus your mind on having a good workout. If you’re not a fan of the gym, cleaning the house works just as well and is something that we have to do, anyway. So when you feel like having a cigarette, pick up a vacuum cleaner or duster instead. Invest in a diary for your journey through stopping smoking, to use as a motivator in times of need. A diary can record some of your biggest achievements during your quitting journey, and it can really help to look back at those moments when cravings kick in. Is there something you’ve always fancied trying or doing? Have the cost and health implications of smoking stopped you from giving it a go? Now’s the time to take on a new hobby, not only to celebrate giving up smoking, but to distract you from any tobacco cravings that might come about. Going cold turkey doesn’t work for everyone and in some cases, a happy medium between a smoker and non-smoker works perfectly. E-cigarettes are a great middle ground between giving up cigarettes for the first time and living a healthy smoke and nicotine free life. Cravings are usually related to nicotine, so invest in an e-cigarette and use an e-liquid that contains nicotine, to beat cravings and slowly progress along your journey to the new you. If you only take one thing away from this, it’s that it’s important to remember just how quickly these cravings can come and go. When they do appear, be patient and take some time to let them disappear again, rather than instantly reaching for a cigarette and falling back to where you started.